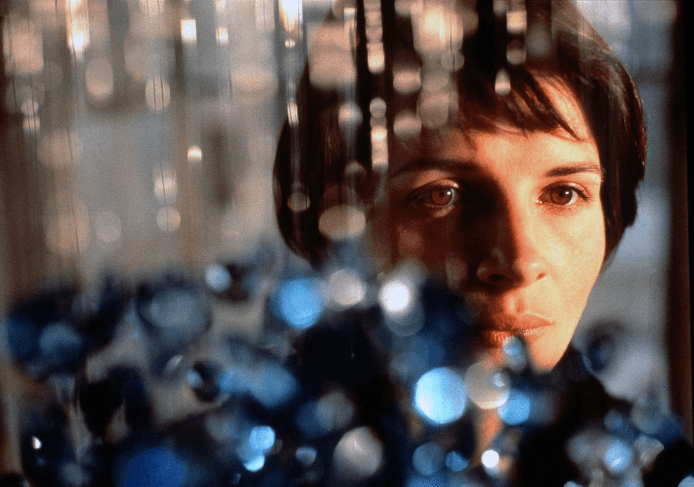 How do I even begin to talk about Three Colours: Blue? From the intense and intrinsic mind of Polish director, Krzysztof Kieslowski comes one of the greatest portrayals of grief, anger and acceptance. His verbose use of colour is obvious, especially given the namesake of the trilogy. Three Colours, as you can tell, has a great focus on its colour, lighting and all the technical aspects you could possibly think of. With an astounding performance from Juliette Binoche, Three Colours: Blue relies on her capabilities as a leading actor. Her performance blends the grief and loss of her family with her need to move on almost seamlessly. Consistency is key to her performance, as she weaves a tale of anger and seclusion, which ultimately unravels into companionship and reliance. It’s close to becoming a one-man show and if it weren’t for the spectacular supporting performance from the late Benoit Regent, it would certainly be Binoche’s virtuoso lead. Regent is greatly cast as Olivier, making somewhat scattered appearances throughout the film as the long-suffering interested lover. His failed attempts at capitalising on the relationship he and Julie (Binoche) could hold is represented well; frequently cropping back up into the life of Julie as he tries and fails to win her favour. But none of this matters, not without the strong direction of Kieslowski. His focus on close, unmoving shots is beautiful. A real stunning piece of film, in particular, his utilisation of the soundtrack is truly remarkable. When pressing her hand down on the notes, the non-diegetic sound begins to play and it’s such an incredible way to set the scene. Through unexpected twists and turns, we see characters that are relatively small begin to deal with their dark alternatives. Julie’s character arc, in particular, is perfection, with questionable motifs shrouded by the guilt and loss of her husband. But even without much of an on-screen presence, her dead husband is the driving force of the narrative. Much of the film revolves around his past, even if he’s not present on the screen whatsoever. A slow burning plot that has cataclysmic, unrelated events filtered in to keep the pacing alive of a comfortable hour and a half of viewing. Maybe I was wrong to brush off old movies. I understand they can have auteur intent, but the majority of which I’ve seen have fallen into Hollywood pitfalls rather frequently. Maybe it’s just that I’m an idiot and don’t really understand the word “auteur”. Who knows? But Three Colours: Blue made me question that and a hell of a lot more. The best movies make you think, the few that can really impact you like this are one in a million; a must watch movie if there was ever a time to use such a horrid phrase.